The current divisions over a border wall and immigration policies have shut down parts of the federal government; fundamentally divided Congress and the president of the United States; and undermined the lives, livelihoods, and dignity of both government workers and immigrant families. Today’s headlines and 24-hour news cycle focus primarily on politics, power, and personalities—who will win or lose, and what that means for 2020. 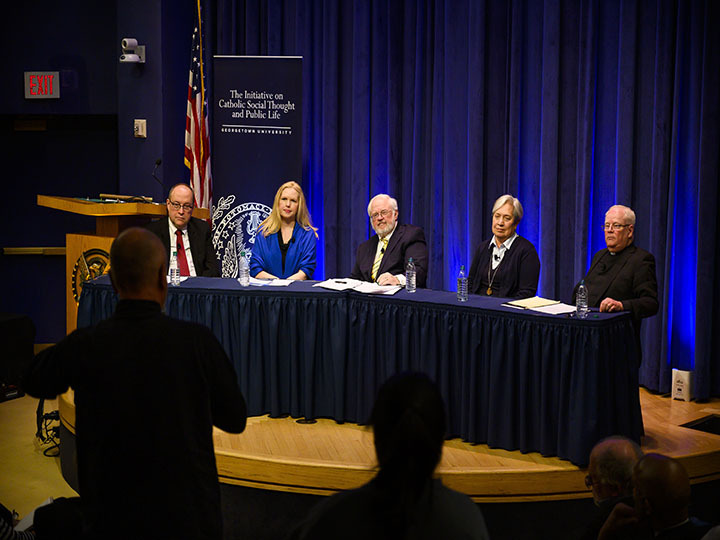 This urgent Public Dialogue looked beyond the politics, anger, and fear to focus on the human costs and moral principles that should shape our policy choices and can offer a way out of this crisis. Who are the people who come to our southern border and why? What are key biblical, ethical, and policy principles that can move the nation forward on immigration issues? How should the experiences of immigrant families, government workers, and religious charities affect the responses to this destructive stalemate? What is fundamental and what is prudential? What are areas for standing firm and possibilities for compromise? What are our responsibilities and opportunities in our communities? 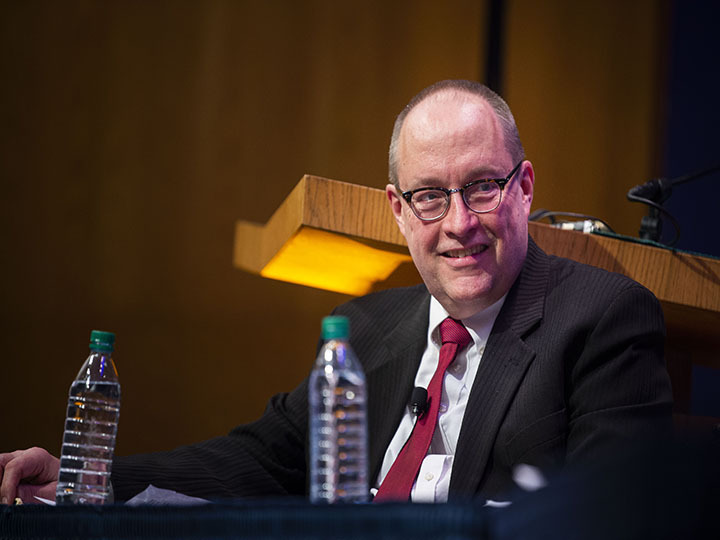 Galen Carey is the vice president of government relations for the National Association of Evangelicals. He has worked for World Relief in Croatia, Mozambique, Kenya, Indonesia, and Burundi, and is the co-author of Faith in the Voting Booth. 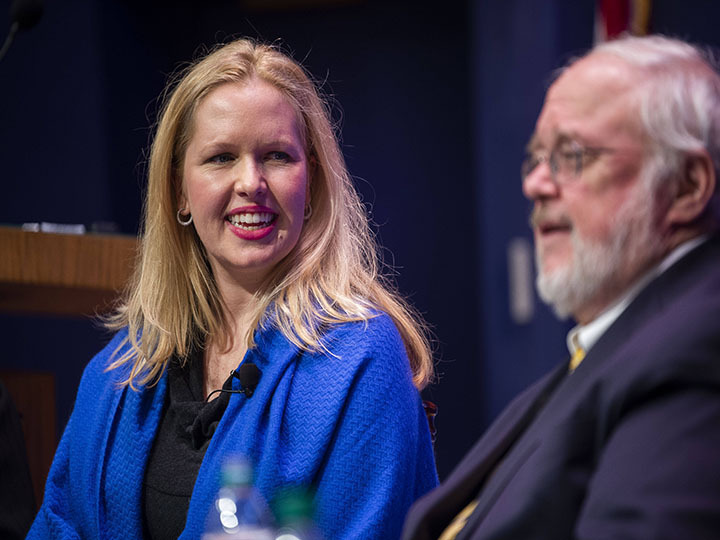 Ashley Feasley is the director of policy at the United States Conference of Catholic Bishops’ Office of Migration Policy and Public Affairs and the former director of advocacy for the Catholic Legal Immigration Network, Inc.
Rev. 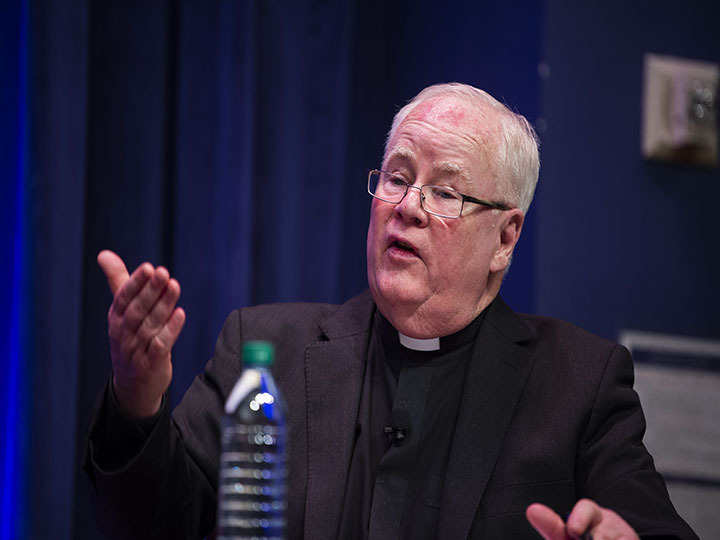 David Hollenbach, S.J., is the Pedro Arrupe Distinguished Research Professor in the School of Foreign Service; a senior fellow at the Berkley Center for Religion, Peace, and World Affairs; and the former president of Catholic Theological Society of America. 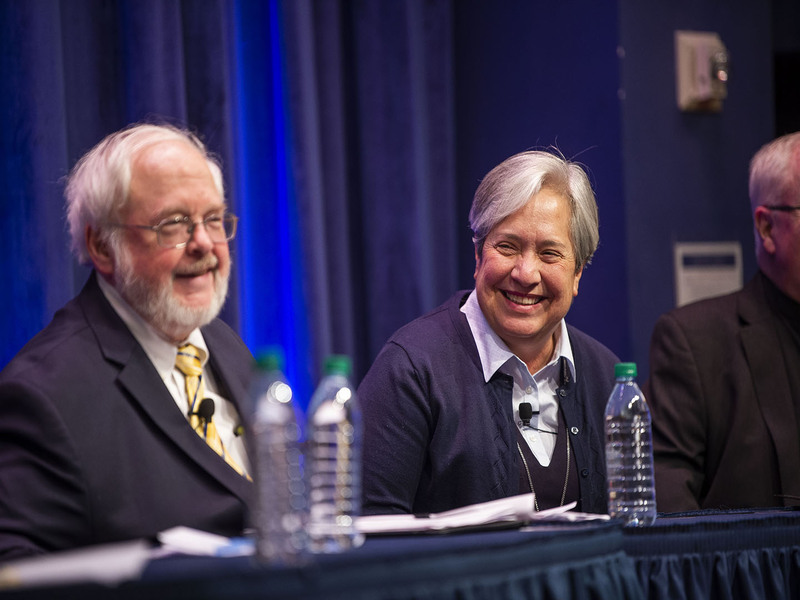 Sr. Norma Pimentel is the executive director of Catholic Charities of the Rio Grande Valley, a longtime advocate for immigrants and refugees, and the recipient of the University of Notre Dame's 2018 Laetare Medal. 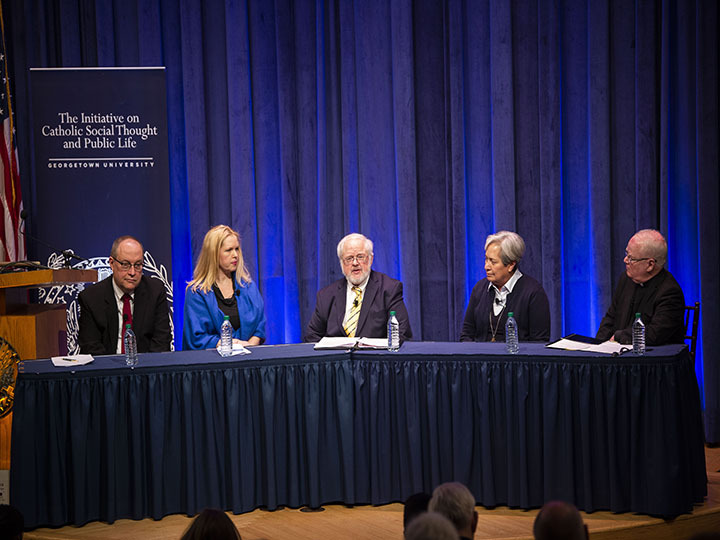 John Carr, director of the Initiative on Catholic Social Thought and Public Life, moderated the Dialogue. Jaquelin Martinez (C'19), a Georgetown student, opened the gathering by sharing how she is affected by this crisis. A copy of Jaquelin's opening remarks can be found below by clicking the PDF download. 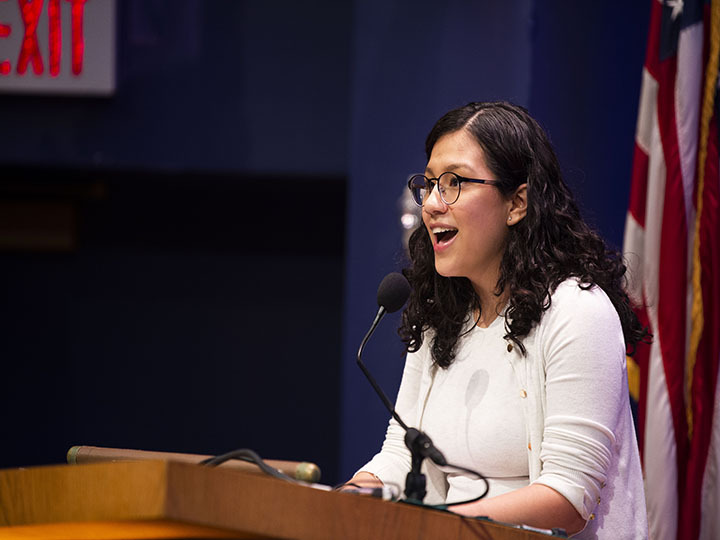 Jaquelin Martinez (C’19), a DACA recipient, shares the story of her father to open the dialogue. John Carr raises the human and moral dimensions of the immigration issue. John Carr and Sr. Norma Pimentel discuss what is happening at the border. Rev. David Hollenbach, S.J., shares the moral teachings of Catholic Social Thought that should guide the policy discussion on immigration. 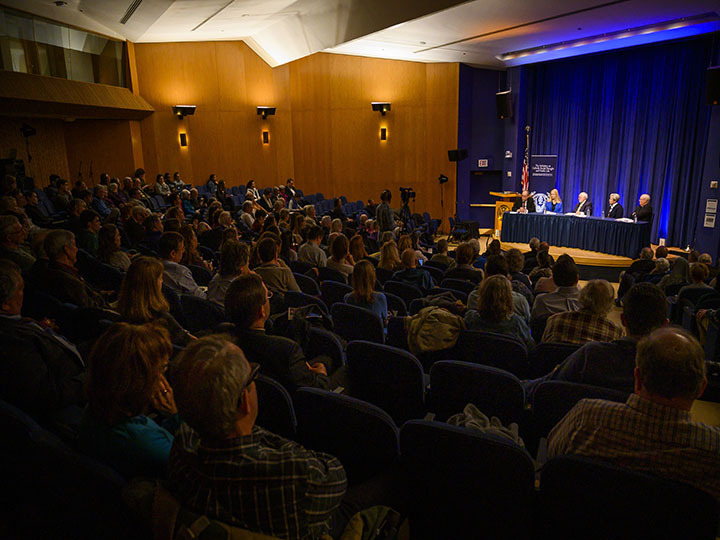 The dialogue drew a full house to the Intercultural Center Auditorium with those interested in religious perspectives on the crisis at the border. Galen Carey discusses the commonalities between evangelicals and Catholics on border security and immigration. Ashley Feasley discusses the U.S. Conference of Catholic Bishops’ policy stances on immigration. An audience member asks the panelists about the root causes of the migration crisis from The Northern Triangle.